﻿ Luke 18:14 "I tell you, this man went to his house justified rather than the other; for everyone who exalts himself will be humbled, but he who humbles himself will be exalted." "I tell you, this man went to his house justified rather than the other; for everyone who exalts himself will be humbled, but he who humbles himself will be exalted." I tell you, this one went down to his house justified rather than the other; because everyone who exalts himself will be humbled, but the one who humbles himself will be exalted." I tell you, this man, rather than the other one, went down to his home justified, because everyone who exalts himself will be humbled, but the person who humbles himself will be exalted." I say to you, this man went down to his house justified rather than that man. Because every man who lifts himself up will be made lower, and he who makes himself lower will be lifted up. I say unto you, This man went down to his house justified rather than the other: for every one that exalteth himself shall be humbled; but he that humbleth himself shall be exalted. I tell you, this man went down to his home justified (forgiven and made upright and in right standing with God), rather than the other man; for everyone who exalts himself will be humbled, but he who humbles himself will be exalted. I tell you, this man went back home right with God instead of the other man. For every person who exalts himself [as important] will be humbled, but whoever humbles himself will be exalted [as important]." I say to you, this man went down to his house justified, rather than the other. For every one that exalts himself, shall be humbled; but he that humbles himself, shall be exalted. I tell you, this man went down to his house justified rather than the other; for everyone who exalts himself will be humbled, and he who humbles himself will be exalted." I tell you this man went home approv'd as just, and not the other. for whoever exalteth himself shall be humbled, and he that humbleth himself shall be exalted. I say unto you, This man went down to his house justified rather than that other. For every one who exalts himself shall be humbled, and he that humbles himself shall be exalted. I say unto you, He went down to his house justified rather than the other: because every one exalting himself shall be abased; and the one humbling himself shall be exalted. I tell you, it was he who went back to his house with God's approval, and not the other. For everyone who exalts himself will be humbled, but the man who humbles himself will be exalted." I tell you, this man went down to his house justified rather than the other; for every one that exalteth himself shall be humbled, and he that humbleth himself shall be exalted. I tell you, this man went down to his house justified rather than the other; for anyone that exalts himself shall be humbled, and he that humbles himself shall be exalted. I say to you, this one went down to his house justified rather than that one: for every one lifting up himself shall be humbled; and he humbling himself shall be lifted up. I tell you, this man went down to his house justified rather than the other: for everyone that exalts himself shall be abased; and he that humbles himself shall be exalted. I tell you, this man went down to his house justified rather than that one! For everyone who exalts himself will be humbled, but the one who humbles himself will be exalted." I tell you, this man went down to his house justified rather than the other. For everyone who exalts himself shall be abased, and he who humbles himself shall be exalted. I tell you, This man departed home to his house justified more than the other. For every man that exalteth himself, shall be brought low: And he that humbleth himself, shall be exalted." 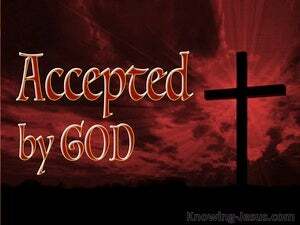 I tell you, he went home accepted by God rather than the other man; for everyone who uplifts himself will be humbled, and he who humbles himself will be uplifted." "I tell you that this man went down to his house justified rather than the other; for every one who exalts himself shall be humbled; but he who humbles himself shall be exalted." I tell you that this man went down to his home justified rather than the Pharisee. For everyone who exalts himself will be humbled, but he who humbles himself will be exalted." I tell you, this man went down to his house justified rather than the other; for everyone who exalts himself will be humbled, but he who humbles himself will be exalted." I tell you, this man went down to his house justified rather than the other; for every one that exalteth himself will be humbled; but he that humbleth himself will be exalted. I tell you this man went down to his house justified rather than that; for every one that exalts himself shall be humbled, and he that humbles himself shall be exalted. I tell you - This one went down justified, unto his house, rather than that one; because, every one who exalteth himself, shall be abased, but, he that abaseth himself, shall be exalted? I say to you, Went this man down to his house justified, or the other? for every one who exalteth himself shall be humbled; and he that humbleth himself shall be exalted. This man, I tell you, went home pardoned, rather than the other; for every one who exalts himself will be humbled, while every one who humbles himself shall be exalted." "I tell you that this man went home more thoroughly absolved from guilt than the other; for every one who uplifts himself will be humbled, but he who humbles himself will be uplifted." I tell you, this man, and not the other, went back home forgiven and accepted by God. For everyone who exalts himself will be humbled, but whoever humbles himself will be exalted." I say to you, this man went down justified to his house, rather than the other; because every one who exalts himself shall be humbled, but he who humbles himself shall be exalted." I tell you, this man went down to his house justified rather than the other: for whoever exalteth himself shall be abased, but he that humbleth himself shall be exalted. 13 "But the tax collector, standing some distance away, was even unwilling to lift up his eyes to heaven, but was beating his breast, saying, 'God, be merciful to me, the sinner!' 14 "I tell you, this man went to his house justified rather than the other; for everyone who exalts himself will be humbled, but he who humbles himself will be exalted." 15 And they were bringing even their babies to Him so that He would touch them, but when the disciples saw it, they began rebuking them. "Whoever exalts himself shall be humbled; and whoever humbles himself shall be exalted. She said, "Let your maidservant find favor in your sight " So the woman went her way and ate, and her face was no longer sad. "When you are cast down, you will speak with confidence, And the humble person He will save. "Or do you have an arm like God, And can you thunder with a voice like His? For though the LORD is exalted, Yet He regards the lowly, But the haughty He knows from afar. And do not enter into judgment with Your servant, For in Your sight no man living is righteous. Though He scoffs at the scoffers, Yet He gives grace to the afflicted. Before destruction the heart of man is haughty, But humility goes before honor. A man's pride will bring him low, But a humble spirit will obtain honor. Go then, eat your bread in happiness and drink your wine with a cheerful heart; for God has already approved your works. The proud look of man will be abased And the loftiness of man will be humbled, And the LORD alone will be exalted in that day. "In the LORD all the offspring of Israel Will be justified and will glory." As a result of the anguish of His soul, He will see it and be satisfied; By His knowledge the Righteous One, My Servant, will justify the many, As He will bear their iniquities. "Behold, as for the proud one, His soul is not right within him; But the righteous will live by his faith. "He has brought down rulers from their thrones, And has exalted those who were humble. "But, so that you may know that the Son of Man has authority on earth to forgive sins,"--He said to the paralytic--"I say to you, get up, and pick up your stretcher and go home." "For this reason I say to you, her sins, which are many, have been forgiven, for she loved much; but he who is forgiven little, loves little." But wishing to justify himself, he said to Jesus, "And who is my neighbor?" And He said to them, "You are those who justify yourselves in the sight of men, but God knows your hearts; for that which is highly esteemed among men is detestable in the sight of God. nevertheless knowing that a man is not justified by the works of the Law but through faith in Christ Jesus, even we have believed in Christ Jesus, so that we may be justified by faith in Christ and not by the works of the Law; since by the works of the Law no flesh will be justified. Was not Abraham our father justified by works when he offered up Isaac his son on the altar? But He gives a greater grace Therefore it says, "GOD IS OPPOSED TO THE PROUD, BUT GIVES GRACE TO THE HUMBLE." Humble yourselves in the presence of the Lord, and He will exalt you.